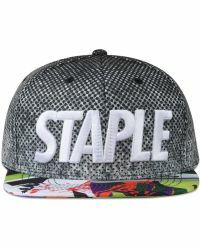 Staple is a contemporary urban streetwear label founded by Parsons student jeffstaple in 1997. 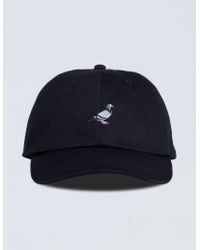 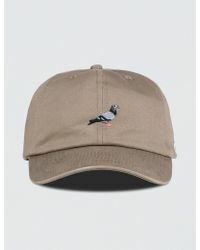 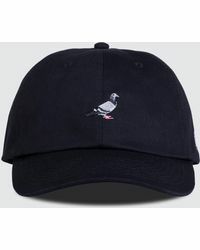 The brand began in New York City as a small line of T-shirts, and has since evolved to offer full collections of apparel and accessories recognised by their Staple Pigeon logo and expressive, energetic design. 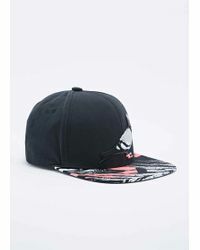 Give a quirky twist to every outfit with the latest range of men's Staple hats. 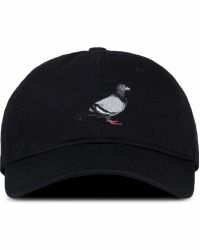 Expect snapbacks, bucket hats, baseball caps and beanies featuring the pigeon logo, artistic prints and vibrant, eccentric colour combinations.